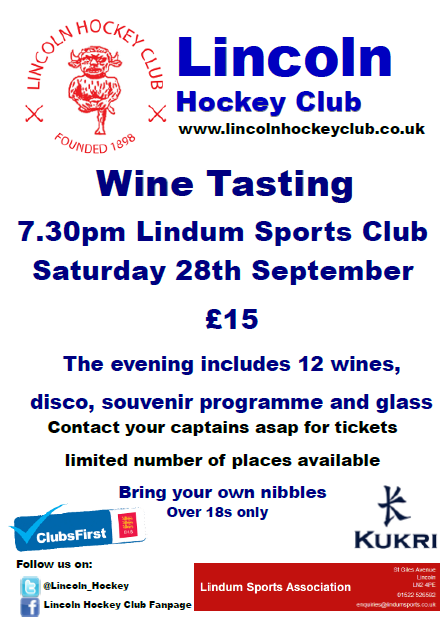 Lincoln Hockey Club Social Secretary has reorganised the Wine Tasting event, originally due to take place at the end of last season. 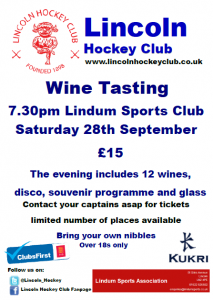 This is to take place on Saturday the 28th of September from 7:30pm onwards at the Lindum Sports Association. The evening includes 12 wines, a disco, souvenir programme and glass. 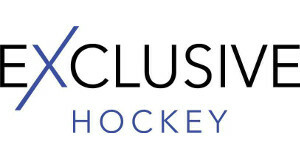 Places are limited so will be allocated on a first come, first serve basis. Contact a team captain for tickets. As has been previously advertised, this event is for over 18s only.